This striking hanging would have been used inside a tent. 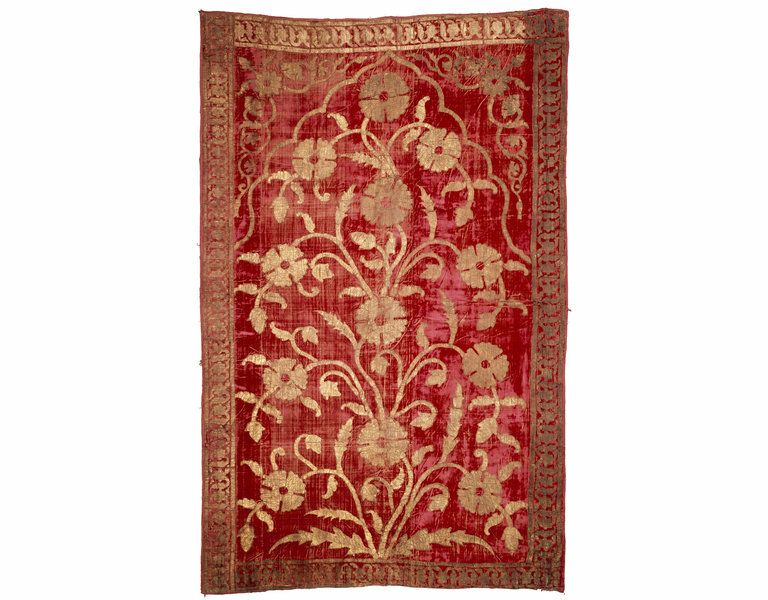 The set from which this panel comes has been associated with the rulers of Jaipur in Rajasthan and it may well have been made there (although the velvet appears to be imported European fabric). 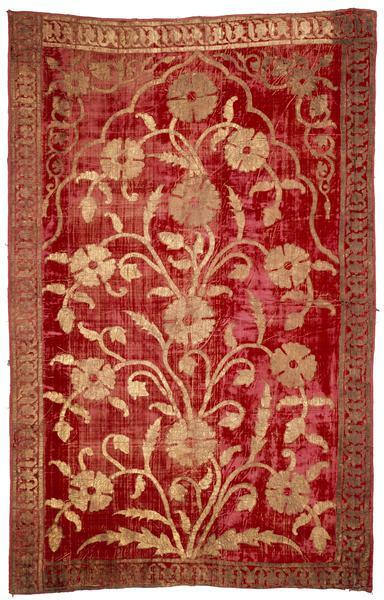 Red and gold hangings with floral designs like this are seen in several miniature paintings of the 18th and 19th centuries. Tent hanging of stencilled velvet and painted with gold leaf. 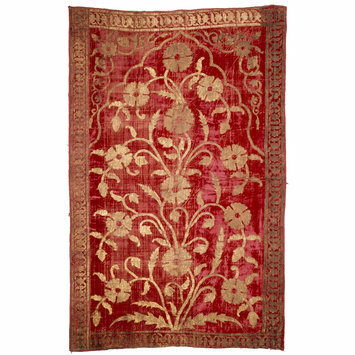 With a symmetrical floral pattern. Swallow, Deborah and John Guy eds. Arts of India: 1550-1900. text by Rosemary Crill, John Guy, Veronica Murphy, Susan Stronge and Deborah Swallow. London : V&A Publications, 1990. 240 p., ill. ISBN 1851770224, p.103, no.83.